START fresh. CHANGE your life. ADVANCE your career. INCREASE your income. 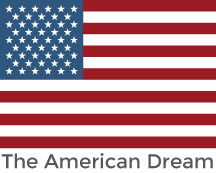 CREATE your own destiny as a RN and JOIN the American Dream. ADEX Medical Staffing is not a third-party representative or agent. We are your direct Green Card sponsor and direct employer. We pay all salaries and benefits. We place you at one hospital location (that best compliments your professional background) for the duration of your contract with us. All legal and U.S. Gov't processing fees. All post arrival health screening and credentialing fees. Relocation Airfare to the U.S. First month's lodging in the U.S. Weekly compensation throughout your pre-employment orientation. Seamless arrival and pre-­employment orientation program. Today, there is too much emphasis on the process of emigrating and not enough on the individual. Our intimate knowledge of U.S. immigration procedures ensures a minimum processing time. Our priority is you — the healthcare professional. We will help you manage and develop your career in the US. As your skills grow, so will your pay, benefits and opportunities to advance. We’re here to help you with advice and guide you to the best possible job so that you can achieve what you’ve dreamed of.